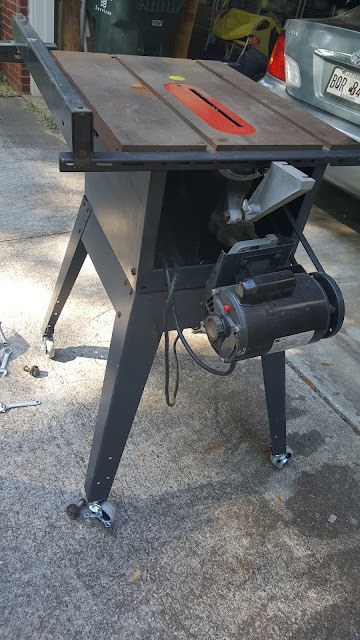 I bought this table saw last December while visiting relatives in Austin, TX. The table did not have the cast iron table extensions, but the price was right. 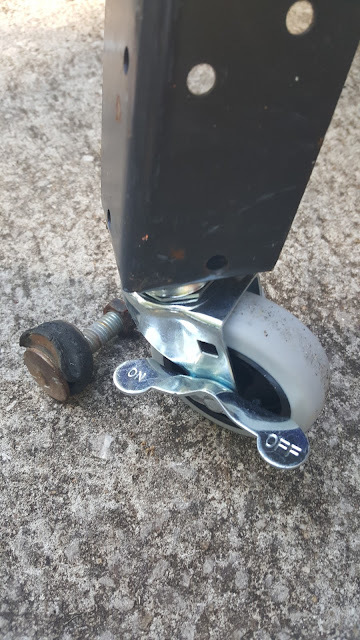 I made my first ever eBAY purchase a few weeks ago and bought the table extensions. they came this week and I added tom on the saw today. Before adding the extensions I wanted to add some lockable wheels so that I can move the heavy saw around. New wheel with the old stand off on the ground. 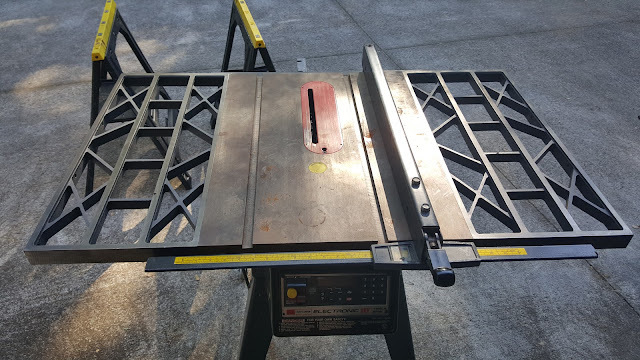 Table saw with both extensions installed.